In millions of homes across the country, Amazon’s voice-controlled personal assistant, Alexa, is listening. And whether you want to or not, she’s ready to play. 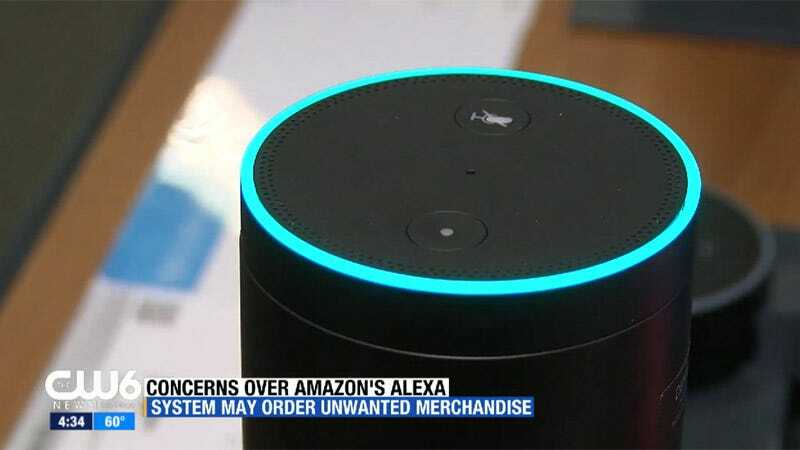 That, apparently, was enough to prompt complaints from viewers “all over San Diego,” who claimed their own Alexa devices tried to place orders for dollhouses in response. While Echo devices have voice ordering turned on by default, Amazon noted in response to the initial story that it can be turned off in Alexa’s settings or protected with a confirmation code. The company also offered free returns on any accidental physical order. Currently, Alexa doesn’t have a voice recognition system to identify whether the speaker is an authorized user. When it comes to a children pursuing their desires, however, there may not be any system secure enough. Just last month, another 6-year-old placed her sleeping mother’s thumb on a smartphone, confirming an order for $250 in Pokémon toys.